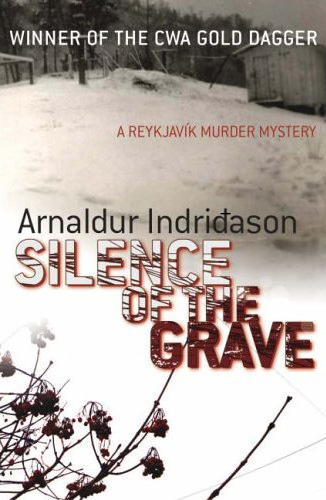 Erlendur (who was first introduced to us in TAINTED BLOOD (aka JAR CITY)) is called to the investigation of a skeleton, found in a shallow grave on an area that used to be open hills outside Reykjavik. When the skeleton was buried this was sparsely populated with a few summer chalets. Just to complicate matters the skeleton could also be from the time when there was a British and then American Army base in the area. It could be an Icelander who once got lost in the snow. The investigation is complicated by the age of the burial; the slow and painstaking excavation of it by archaeologists; and by the location and the lack of information about any of the possible residents of that area. As Erlendur and his team slowly work through all the possibilities, the hills reveal they have had more than their fair share of family tragedy, brutality and heartache. Erlendur is also confronted by the mess of his own family when his estranged daughter contacts him briefly, desperate for urgent help. As the investigation continues and Erlendur's family crisis continues there is a gradual revealing of many of the things that have happened in his own past - making him the person that he is today. Just in the same way as many of the events in the families who are eventually connected to the nearby summer chalet slowly reveal themselves. SILENCE OF THE GRAVE is involving and highly compelling. The story of the investigation and the life of Erlendur are intertwined so that they provide both a contrast and also an explanation of how people become who they are or react like they do. Even in translation there's a feel in the writing of these books that is smooth, natural, hypnotic almost. In SILENCE OF THE GRAVE the story moves along until the later few chapters when the true circumstances behind the skeleton speed up the pace and the whole story is revealed. At the same time Erlendur's life is revealed. Erlendur is now somebody I like to worry about.